Ria Galanos teaches computer science at the Thomas Jefferson High School for Science and Technology and is the co-director of the Mobile and Web Applications Development Senior Research Laboratory. In addition to teaching, she sponsors the Coding Lady Colonials (an all-girl computer science club), HackTJ (the school’s 28 hour overnight hackathon), and the Senior Computing Team. Ria is passionate about introducing young people to the field of computer science, teaching them how to program, showing them how to create something from nothing, and making them thirsty to learn more. 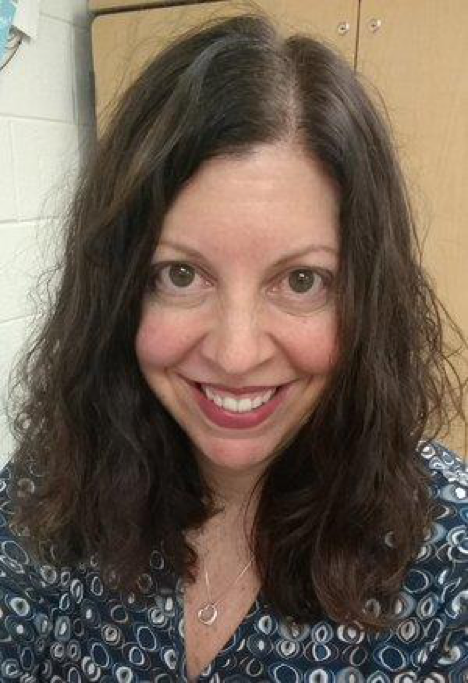 Her current areas of focus are building the confidence of females in computer science courses and creating interdisciplinary real-world computer science assignments that help make computing relevant and personal for all her students. Her other professional hats include being a Question Leader for the APCS A Exam Reading, serving on the AP Computer Science A Development Committee, and conducting APCS A student review sessions for the National Math and Science Initiative. She has served on the board of directors of the Computer Science Teachers Association and the National Consortium of Secondary STEM Schools. Ria holds a BS in Aeronautical Engineering from Rensselaer Polytechnic Institute, a MAEd in Secondary Mathematics Education from Virginia Polytechnic Institute and State University, an advanced teaching diploma from Emory University, and is currently pursuing an MS degree in Computer Science from Georgia Tech.